How to Create Your New Year Greeting Card | TonerGreen - Eco-Friendly Toners from the U.S. Soon it will be New Year and I bet everyone's busy preparing themselves and their gifts for the celebration. How about your New Year greeting cards? Are they complete? If not and you're having a dilemma of having to go to the mall, rummaging for the perfect gift card and be hassled with all the people there doing the same thing then don't. Because truthfully, you can make your own holiday card and eliminate all those hassles at once--as in create, design and print your own greeting card. And to tell you, it's very easy and you might even find the pleasure to enjoy it yourself. As long as you have your own personal printer near and a desktop computer or laptop, you won't have a problem making your own New Year greeting card. Using Microsoft Publisher to Create Greeting Cards - Microsoft Publisher is a handy software program that lets users choose designs and printouts ready as cards, banners or cover books. Windows PCs with Microsoft Office installed typically have this on their collection beside Excel, Word, Outlook and Office. Once you open the Microsoft Publisher Program, you can see upon its left side a task pane titled New Publication, under its selection, click Publications for Print then select Greeting Cards. A list of occasions will appear, click Holidays and there you will see a collection of holiday cards. Select one under the Christmas design. 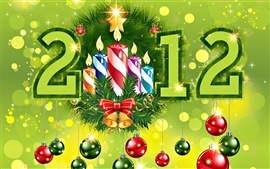 Go to Online Sites for New Year Greeting E-card Designs for Ideas- You can check out Google for this. I typically visit 123Greetings.com, American Greetings, Hallmark and eGreetings when looking for an inspiration to my own-designed cards. They have a wide selection of online e-cards for various occasions, holidays and events.American Greetings offers online visitors 'printable New Year greeting cards as well. Be Creative on Your Design - Once you have selected a specific layout, you can now type your personal messages and greetings. And the best part here is you can add more images and designs to your cards by adding a clipboard or picture via its toolbar--enjoy what you're doing and it will come out creatively. Print using the Right Type of Printer - I would definitely recommend using inkjet printers if your New Year greeting cards are more image-based but if its all designed with graphics then its best to use laser printers instead. If you're looking for a cost-efficient alternative printer consumables, there are remanufactured toner cartridges and ink cartridges which cost 40% less than your average OEM cartridges. Their eco-friendly too.